while contributing to the global economy. Sign up, take the test and see if you have what it takes to join CloudFactory. If you’ve got the skills, all you need is a computer, web browser and reliable Internet access to work for CloudFactory. Work when it’s most convenient for you. Perfect for students and those with family obligations. Our cloud workers are paid on a weekly basis via direct deposit. Develop personal leadership skills that will help you serve your community and the global economy. You’re ready to go! Log on to the CloudFactory platform and start earning! My experience has been pleasant. I get economically empowered by getting paid for the work I do and I learn something new every day from the audio and video recordings I transcribe. As much as it is a transition place for me as I continue to advance in the career of my choice, I wouldn’t mind if I advanced into becoming a full time staff here. Cloudfactory is a good place to work, the staff are very good, they respond to your queries on time. The transcription tasks have also helped in widening my experience and increasing my skillset. It has taught me a lesson in persistence and patience, sometimes the tasks are hard or there are no tasks in the system but you still need to persist and go back hoping the tasks are available and better. The money I get is my pocket money, it caters for fare and lunch mostly. It’s been a great experience being able to learn so much while working and earning money as a cloud worker. Giving back to the community as a team has positively impacted my life and my perspective on leadership. Thanks a lot Cloudfactory for the opportunity to work in this organisation. I look forward to more great times working at CloudFactory. CloudFactory is changing the way the world works by providing an on-demand, digital workforce for scaling critical business processes in the cloud. We’re also on a mission to create meaningful work for as many people as possible. We believe that leadership is the combination of character and competency . CloudFactory seeks to raise each cloud worker as a leader in their community. At each weekly team meeting, all of our employees spend time learning, discussing and applying one of forty character principles carefully chosen to bring out the best in each of us. As a cloud worker, you will gain skills critical for success in the digital age. You will gain competency in many skills by accomplishing a variety of tasks for some of the most innovative companies in the world. These are skills that will provide a strong foundation for thriving in the global economy, no matter where your career path takes you. Community service is one of our core values at CloudFactory. As emerging leaders you will be challenged to get out into the community each month to serve. It’s fun team-building with a purpose. 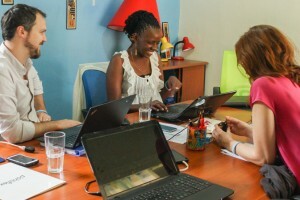 Serving your community will provide important leadership skills and make your work with CloudFactory truly meaningful. Can I apply to be a Cloud Worker? If you’re a Kenyan Citizen and above 18 yrs, you are eligible to apply. Having access to computer and internet is a must since this is an online work. And of course willingness to work in a team and openness to grow yourself with us is an added path to success. How can I be a Cloud Worker? If you’re eligible, being a Cloud Worker is really simple. After few steps of hiring process, you will be called for training and once you pass the assessment, you can start earning right away. Learn more about our hiring process. Is CloudFactory a good fit for me? 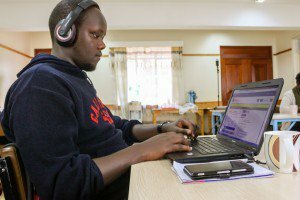 If you enjoy doing data entry micro tasks, looking for a flexible job and willing to invest yourself to be future leaders, we’re the right place for you and yes, we need you. How is CloudFactory different from other Online jobs provider? 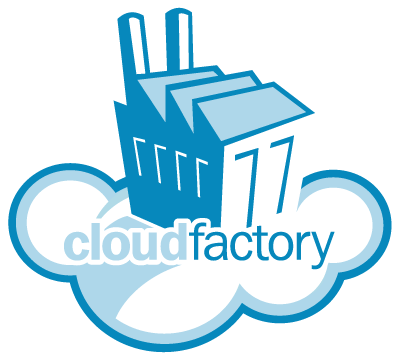 At CloudFactory, you are important and we want you to grow. Even though you start with a simple data entry job, we invest in you to make sure you’re growing every day in what you do. We have a full time staff dedicated towards hearing you and helping you with every stage as you learn and grow.. We believe leadership = character x community x competency. We want to become and raise up leaders worth following, those of high character and competency who believes in giving back to the community for a purpose bigger than oneself. Why do I need to be in teams? “If you want to go fast, go alone. If you want to go far, go together. “ This African proverb reminds us of the power of teams and we want you to experience that with your fellow cloud workers. 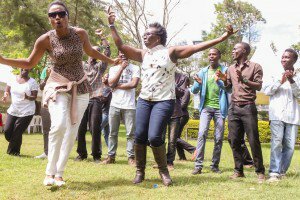 We believe that you in a team environment shall accelerate the process of your being leaders in your community. Do I need to meet with CloudFactory full time staff or come to the office location? Yes, we would love to know you and see you in person frequently. After all, you are a part of the CloudFactory cloud team. We conduct team meetings periodically and the goal of team meetings is to learn and grow together, while sharing unique perspectives towards our lessons. The lessons mainly focus on Personal Development Plan covering various aspects of 3Cs – Character, Competency and Community. What kind of online data work do I need to do? CloudFactory provides a variety of data entry jobs such as data extraction from images or documents, audio transcription, data moderation, data analysis, and much more. Do I need to pay to attend trainings? Do you train online? Of course, not! Depending on the tasks type, trainings could be in-person or online. Most of our trainings are in-person to promote team interaction and instant feedback. Our trainings are very practice oriented to help equip you with all the necessary skills. Is there a time scheduled to do the tasks or can I do it at my own time? The work hours are flexible and allows you to attempt the tasks at your own convenient schedule. However, some projects have peak hours, when the volume of tasks flowing in is higher than others. We ensure proper communication of those so that you can arrange accordingly. Your earnings is reflected in USD in our platform, which gets converted to KeS as per the exchange rate during the payment week. You can choose to be paid via Mpesa or Standard Chartered Bank. The payment is made after two weeks of the work week to ensure reviews are done. For example, The earnings of work week 1 is paid to you at the end of week 3. The earnings of work week 2 is paid to you at the end of week 4 and so on. You will have a continuous weekly earnings after the first three weeks of joining CloudFactory.